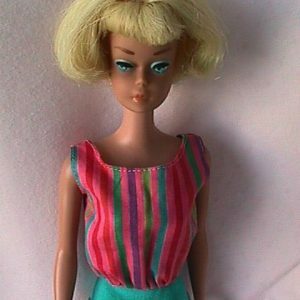 Crystal Barbie Outfit #4598, 1984, worn by the unofficial 25th Anniversary Barbie doll. Includes iridescent white gown and floor length stole with lavender open toe shoes(Philippine) to match the trim on the dress. 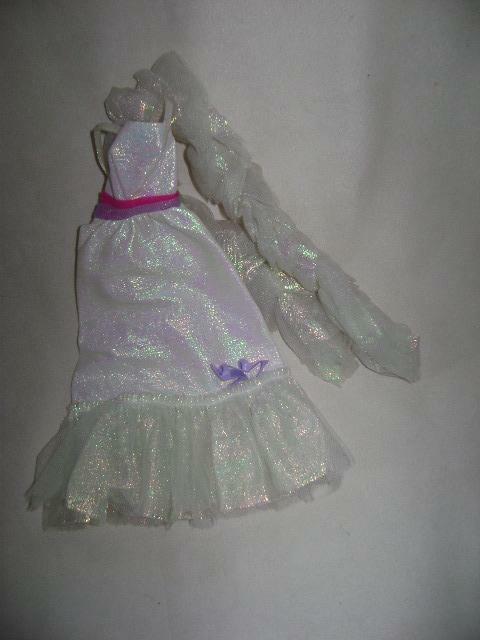 Original doll wore glitter shoes and came with a pendant.